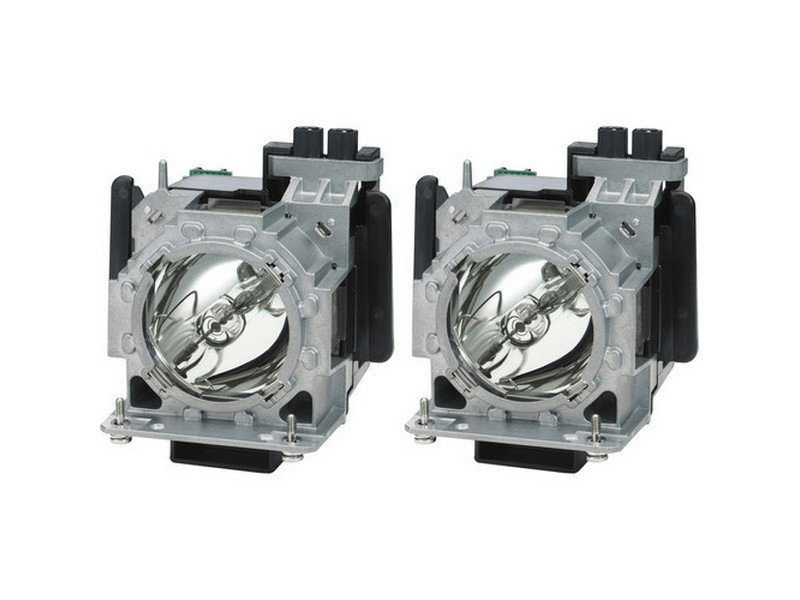 The ET-LAD310W Panasonic twin-pack projector lamp replacements comes with genuine original 370 watt Ushio brand NSH bulbs inside rated at 10,600 lumens (brightness equal to the original Panasonic lamp). The ET-LAD310W Twin-Pack has a rated lamp life of 3,000 hours (4,000 hours in eco-mode). This Twin-Pack has higher lumen output and longer lamp life than other cheaper generic replacement lamps being sold elsewhere. It also has a Lamp Run-Time Module that is calibrated and tested during Pureland Supply's quality control process. It is guaranteed to operate the same as the original and will count your run time correctly to ensure proper function of your projector. ET-LAD310W Panasonic Twin-Pack Projector Lamps Replacement. Projector Lamp Assemblies with High Quality Genuine Original Ushio Bulb inside. Twin-Pack contains 2 Lamps. Lamps are working great and continue to outperform our expectations. Very pleased with this Panasonic twinpack. These have the Ushio bulbs which we know burn brighter and last longer than the generics. They were packaged in a larger box with lots of bubble wrap cushioning the shipment. We installed them and the timer reset properly and lit up without an issue. We highly recommend this product.